interesting work but I have to tell you they most certainly are not doing this for the benefit of the planet or the people living upon it. The planet is fine! keep with the objective information. Our climate changes all the time if we new the true cycles of this earth there 500 year lie would be blown! The population is being kept dumbed down with this pollution. it’s got nothing to do with protecting the planet! I just wondered if you might know why “they” would spray chemtrails prior to a snow storm and or rain storm. On Monday this week we saw our first chemtrails in a month or so, and we had a snow storm forecast for Tuesday the very next day which just seems too coincidental that the two events are so close together. I have seen it before but with a rain storm and it rained 2″ in an hour. This snow storm dumped 12″ overnight which is not common but not unusual either. I wonder if the spraying intensifies the weather event. Any thoughts? Probably to generate more precipitation to build up fresh water sources and extend winter. I wouldn’t be surprised if some ski slope was also benefiting. As the oceans rise, more fresh water will be tainted. I remember you said the local lake was low last summer. They were doing chemtrails here today as well. W must be out of town. We’ve been in the mid 70’s while everyone else was freezing. That isn’t normal for this location. Only a couple nights at freezing the entire winter so far. Although a good thing since my heater is out. People there is no planet x etc is all govt disinfo BS. Its this simple, a catastrophe is coming soon and if people knew there would be social chaos. People would say why work to pay off a mortgage, bills etc People would be angry. So they hide it by buying off people, threats, inducements, need to know, murder, blackmail, a ticket to a bunker, lies, disinfo, distraction, media control, science control. Russia knows about this, 9/11 and all the secret. So theres this standoff, the only way they could deal with Russia is a premptive strike otherwise Russia could blow the whole cover. This axis change will trigger wars. I’ve also posted about these hoaxes. I’m glad to have someone else who knows about this issue to validate these are hoaxes. The gov’t is using hirelings to create false websites and phony hoaxes to divert them from actual issues such as the axis shifting which everyone can see for themselves. They cannot hide the sun so they try to create ridiculous hoaxes to divert attention or to ridicule any info they don’t want revealed. The wars were already triggered when we wanted someone else’s Oil and natural gas. Notice how they always claim solar doesn’t work at night and conveniently forget to mention battery storage and wind mills. Even that new Mars TV series fails to use wind power from those huge wind and dust storms. Instead, they took nuclear power and reactors to contaminate Mars instead of using plentiful wind and solar. We also know how to desalinate sea water but we’d rather claim we are running out of water than to build plants to remove salt from sea water… although I’m not sure I would want it since Fukushima is contaminating the entire Pacific and has even gotten to the UK spreading across the arctic circle. Absolutely correct about the economy. The crooks in power don’t want to lose their $billions if the economy slumps. The slightest thing causes a drop in the stock market. In fact, Russian Television on RT.com has just released an image about the ice crater on Mars. (They also have a TV feed site on youtube in English) under RT. So I hope they release info on all those dirty secrets about Mars, Moon and the ET’s living there which are clearly visible on the satellite images even with the censoring. I have images of lakes on Mars reflecting the clouds overhead, rivers with water and cargo ships, huge creatures, crafts in flight and images taken from a NASA craft which shows a lovely Blue oxygen rich atmosphere on Mars. I downloaded them directly from NASA. You will also see huge dark blue and green areas where there is a forest and an Ocean… but these all disappear on the Google earth censored Mars images and the close images on NASA. If you take a photo of our lakes, remove the color and then recolor it with the Martian red… it will look just like a dead Mars feature and the water becomes invisible when you recolor it like that. So now you have Russian TV backing up my water on Mars images which I found in 2006. I included the original images with the ones where I had to remove censoring such as the rivers with cargo ships which look very much like ours and the lake reflecting the clouds with a harbor and boats beneath the glacier which NASA had artificially colored reddish yellow. I removed the color so you could see it better but I included the original so you could see what the censors do. Here is the Mars site. The RT site link with the crater ice is below. I saw the ice in that crater 15 years ago but no one ever mentioned it. For years they tried to claim those were CO2 glaciers (frozen dry ice) instead of frozen water H2O. But dry ice does not melt into liquid. It melts into gas. It also takes high pressure to freeze, not low like they have claimed but most people don’t know enough to realize they are being lied to such as the oxygen levels in the BLUE atmosphere. See these images on my Mars site. I’ve been working with these images of Mars and moon for 25 years. I have literally thousands. I wanted to make sure I got copies of everything before they decided to remove them like claiming the satellite broke the week after some scientist pointed out the evidence of water. I hope the Russians show everything our gov’t has been hiding. It is all about money and the stock market. They want the public to go to work and spend their money and keep the economy propped up while they stuff their pockets. Here is the Russian site below about the ice in a huge Mars crater. The resolution and coloring is amazing. We never see uncensored images like this. They said they got it from ESA. This is all in English. PS absolutely correct about Fukushima. Such ineptitude has me wondering about deliberate depopulation. Reactors 2 and 3 I think are so unstable, rusted steel, and packed with rods that a big earthquake or an Axis tilt shock will release a massive amount of radiation. Dr Caldicott says Fukushima has not peaked yet. This new radiation if released could be an near extinction event. Even now the contaminated water flowing into the Pacific every day is mind boggling. The Pacific is dead. but wait, its the warm water! Seriously how much flouride are people drinking!! Ive watched RT for years. Its one of a few places (including Al Masdar and Southfront) where you find out the real stories from the Syrian war. Of course WW3 has started already. You dont get to blow up a Russian airliner, fund Isis who kill Russian troops, and steal from the world by printing money, impose sanctions on Russia and have sunk the Kursk without Putin getting you back. Its refreshing to see RT it counter the Wests diatribes. Yes it can be pro Russian, mostly its neutral imho, but you know when you see how pathological MSM in the west is the balance provided by RT is needed. Besides ironically Putin can be very open. The Western elites hate and fear him. I like him and he has to do what he has to do because the Russian group at the top know how absolutely ruthless the Western Elites are and their Mid East bed fellows. You can see where I have been researching…….thats my rant lol. I want to thank you for all your effort and sacrifice. After 20 years of working through the lies, deceptive fake sites, obfuscations, distractions and the most dangerous ones being those that are 90+% truth I know a genuine site now when I see one. You have done a great thing. Its so easily verifiable what you are saying that they had to go to great lengths to hide it. Twwhe one that made me laugh yesterday was that the Innuit are seeing a mirage of the sun rising and setting in new places due to warming temperatures. Nothing to see, watch some TV, drink some beer go shopping.Sleep. So they have created a mindset in people of not questioning, not critically thinking. RT modus is Question More. IMHO the hold on people here in the west is fragile. Thousands of people I have met are aware of a lot. They just need a trigger to wake up more. Will danger be that trigger? I agree. I was quite surprised when I saw RT Russian TV’s coverage of the Soyuz accident on Youtube. They were more than kind to us and had nothing but nice things to say despite our moron calling Putin names on that very day and didn’t bother to thank them for saving our astronaut. When you put their coverage and ours side by side, we come across as rude morons. I don’t agree with Russia’s attacks on agents in the UK or their leader’s methods but I believe they are trying to reveal those things our gov’t is hiding. Especially those things which apply to visitors and their colonies. I did see the ice in that Mars crater 20 years ago plus the lakes and rivers with water and a blue oxygen rich atmosphere. And seasonal changes of forests you can see on distant photos but disappear on Google earth or closer images when the censors get done. If you take a satellite photo of earth forests and lakes, remove all the color then false color it with Mars red, the Earth photo will look just like a barren dry desert as well. Russia also was the first to give us satellite images of Area 51 twenty years ago on Terra server. Our gov’t was POed… but who were they hiding it from? It certainly wasn’t the Russians since their satellites had millions of photos of A51. It was being kept hidden from the US taxpayers who paid for it. But Russia could look all they wanted. I also have some great DVD’s from the KGB files which were sold to British TV by the Russian mafia for $10,000. It showed their troops at a UFO crash. The original film from the KGB vaults. Not a copy. They also had bodies which were taken to a medical school. That same week, all three student doctors on the film died from brain hemorrhages on the same day… AKA: a bullet in their heads. British TV had gotten copies of their death certificates. They even found the very room where the autopsy was done which still had the same floor tiles and validated the patches on the soldiers uniforms. They were quite thorough. The only down side was Roger Moore’s snarky attitude throughout the documentaries he narrated. And the hidden camera which probably got the mob contacts killed showing the meeting and transaction for the KGB Film which contained the KGB Identifiers and film emulsion dates. There were other videos where the Russian gov’t was cooperating with providing videos to researchers of attacks on Russian Migs by UFO’s. So I believe they will eventually tell us everything our own gov’t is hiding to protect our gov’ts personal pocket books believing such info would have on the stock market and their billions in personal fortunes. Reagan had Russia working with our teams at S-4 but Bush threw them out. I can guess what this Pres would do. He only uses them for election fraud. As crooked as Nixon was, he didn’t collude with the Russians. It will be interesting to see what else they reveal. They are the one country we cannot bully into silence. They steady hammer Arlington also, have been for a long time.. Always smeering the sunrise /sunset with haze. I think they t trying to cover up the planet x solar system that’s gonna mail us…talk about gov’t cover up! I have read several of your postings and a few comments this morning. It has made me wonder about the strange rain we had two days ago. I live in mideast Georgia, along the Savannah River. On Thursday morning, just before sunrise, we had a sudden unexpected downpour. I turned to The Weather Channel to see how widespread it was, because I hate driving in the dark when it is raining. There was nothing on the radar. The rain shower lasted for about 20 minutes. When I left the house, it had only rained within 2 miles of my home. Thanks mmc7 for your very informative response. I always thought the North pole was at the top of the earth’s axis and Antarctica was at the bottom of the earth’s axis. I recently found some information showing the North poles new location ( maybe it can’t be trusted ) and thought that coincided with the axis change as well, so has the earth’s axis change not affected the magnetic pole locations or do they remain stationary even though the earth has tilted? I’m still a bit confused as you can see. I have started to point out the sun’s new rise and set locations to several people by asking them the simple question, ” where does the sun normally rise and set in the summer ” and they usually point to the east and the west, but then there is a light bulb moment for most, when they will, without prompting say ” I wondered why the sun was in the northeast in the morning, I thought it was just me. 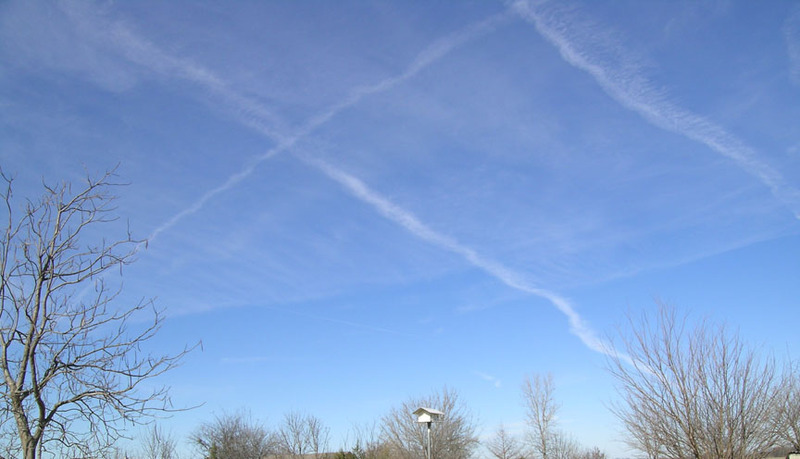 ” Then without argument or the usual conspiracy theorist accusations the proof is in the pudding and they are more open to understanding the chemtrails they have seen, and hopefully start to wake up. To just point out the chemtrails to a person is usually wasted breath, but in explaining the earth’s tilt with proof of the sun’s new location and seeing how the chemtrails shield the sun, people are much more receptive and concerned because it makes sense and they almost immediately realize they have been lied to by the government as to the real reason behind global warming.The governments are using this naturally occurring event to soak people even more and have them feel good about because they think they are saving the earth, which is a crock. The governments are again taking advantage of the people’s good nature for their own gain by intentionally keeping us uninformed at our expense. Thanks again for your great response. The physical north pole is the central point around which the earth rotates. An imaginary skewer rod around which the earth rotates. This north & south pole physical central point of rotation NEVER changes. This is true north. Just like the central point around which your car tire spins never changes. This is the axis. You are confusing true physical north with magnetic north. They are not the same thing. The axis which is the invisible rod around which the earth rotates, is not vertical. The earth is tilted. That normal tilt angle has increased over the past 18 years which is why we see the sun abnormally to the north in the summer. Since we are abnormally tilted, the liquid magma in the center of our planet has changed position but is still affected by the rotation. It is like tilting your glass of wine & spinning it slowly at that tilted angle. The earth actually rotates just a bit faster than 1000 mph. This change in angle is what affects magnetic north & why it moves around more now than it did before the axis shifted. Our axis continues to shift & change positions. The liquid magma is slanted as it spins inside our rotating planet. The spinning planet is what keeps our planetary core in a liquid molten state. Our moon’s core is cold & solid because the moon does not rotate. Thus allowing its center to cool & harden. We are gaining more followers every day. Our site visitors increase by nearly 20,000 each year. A couple years ago, we had 70,000 visitors per year. Two months later we had 86,000. I had predicted a harsh winter six months earlier while the nations meteorologists were predicting a mild winter. I knew this because the axis had made a dramatic shift that year which caused the sun to be much farther south in the winter. Hence, colder weather & the jet stream moved into Canada taking that cold weather & moisture into New England. That was the record breaking winter with continuous blizzards & 40 ft snow drifts. I posted an ITYS comment about it. We gained a lot of new followers that week while those in the NE US were trapped in their homes. The prediction I made of that horrific winter was simple logic. The planets tilt had increased causing colder winters & hotter summers. The cause of the drought in California is due to the warmer ocean currents caused by the increased tilt & hotter summers. It requires cold pacific currents & water temperatures to create storms & rain clouds when it contacts warm air. When the ocean currents are warm, it does not create storms & rain clouds when contacting warm air. The ocean temperatures & currents have been greatly affected by the changes in our axis. However, now that the axis has reverted these past 2 years, the winters wont be as harsh. Colder than the 80’s & 90’s, but not as cold as the winter in early 2015. The gov’t will never tell the truth. Especially about the astronomical costs of chemtrails to the tax payers & how we are also paying to spray other countries such as wealthy Saudi Arabia. They will lie right down to the wire as they head for those elite underground shelters on those final days leaving the public in the dark & under the control of FEMA in command of the troops under Martial Law who will corral & control everyone without food, water or medicine until they die. Just like Katrina. I was assigned to one of the largest metro emergency management agencies for a couple years & before Katrina. I can tell you there are no plans to rescue anyone. Only to control, corral & eliminate survivors. Thinning the population just like the Georgia guidestone states. Katrina was no accident. It was a run through of actual deliberate plans enforced by Fema & the Red Cross across the nation. They control all the Emergency Management Agencies nationwide. Although, I believe Florida threw them out. Thanks mmc7 for your very informative explanation, I understand now. Keep up the great work! Clearly, you would have to live below the chemtrails to experience the cooling effects. While the SF6 is a greenhouse gas which affects the global temperatures, this is not their local effect or goal. 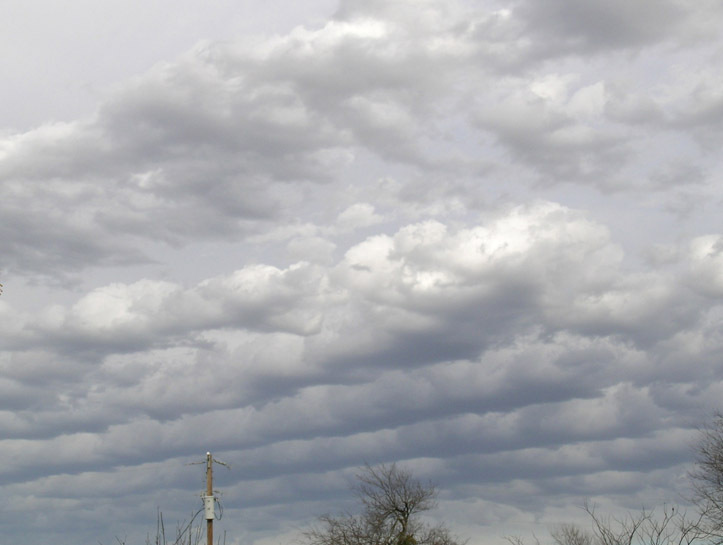 When they create the artificial cloud cover, the temperatures drop by 20 degrees and frequently produce rain. As an example, it NEVER rains a single drop here after the first week of July through the end of August in the 17 years I’ve lived here. The daily temperatures during that same timespan are always between 102 to 118 degrees. I remember one year around 1999 where the July Aug daytime highs never dropped below 110 degrees. We also had severe drought that year and again in 2013 when our chemtrails stopped for a couple years and then restarted again by 2014, Even at night, it rarely drops below the mid 90’s during the normal weather patterns in July Aug. 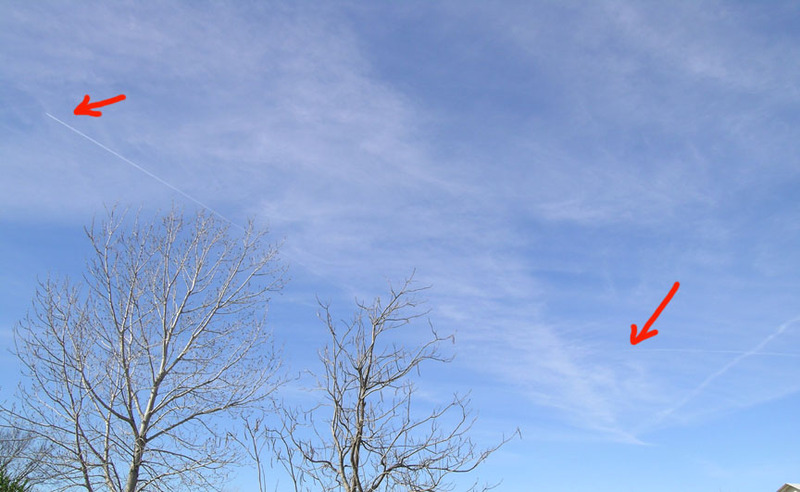 However, last year, in the summer of 2014, when they started doing the chemtrails just before dawn each morning and off to the West rather than directly over our heads, we would wake up to a completely overcast sky of low, wet overcast which would last the entire day. Similar to northern California weather. This occurred throughout July and August last year and we had downpour rainstorms every week. I have my satellite signal records as proof of the storms. We’ve NEVER had rainstorms or even one drop of rain in 17 years until last year when it poured every week. Even better, our daily temperatures were between 80-95 degrees throughout the entire July-August months. Another benefit of doing the chemtrails before dawn also inhibits our ability to video or photograph them. The NWS also altered the weather satellite images to make it look like the clouds developed naturally when I have videos and photos of them being artificially created. So the coverup is quite extensive using false data. However, there are a few which were overlooked where you can see the clouds appearing out of nowhere. Unfortunately, they do not show the detail of the sprayings like our videos from the ground because the satellite images are time lapsed images taken every few minutes and you can see by the photos I took, just how fast the sky became overcast in less than 10 minutes. This does not mean I like to have aluminum and toxins in our air, food, water, vegetation and animals… in fact, I am allergic to aluminum. But the artificial cloud cover and rains do have a significant cooling effect on the areas below the treated area. So they are clearly choosing which areas to spot treat. Areas like California which are being severely affected by drought have obviously refused the spraying or else they do not wish to contaminate the major source of produce and fruit for the US food base. But they might consider having the far northern CA areas in the Cascades and Sierras treated to increase the snowfall needed to produce adequate runoff water supply… but it would contain aluminum. I always steam distill my water. It comes from a lake and that is the only way to remove all foreign minerals and kill bacteria and parasites. So while your logic may tell you that SF6 which is a greenhouse gas thousands of times worse than CO2 will increase the global temperatures, that is correct. But when you are below the treated area, it acts like an umbrella which shields us from the heat of the sun and cools our temperatures by 20 degrees. Not to mention the cooling effects of the rains which would last 2 or 3 days of downpours. Additionally, by doing the spraying before dawn, the low overcast was in place at sunrise and would cover the entire area for the full day and never allowed the sun to heat up the surroundings keeping the temperatures pleasingly cool all day. But, yes, we are being poisoned in the process and it is costing taxpayers a horrific insane fortune and to think that we are also paying for Saudi Arabia’s spraying is absurd. That is one country who can afford to pay for their own as can Turkey and the UK. I would much prefer to have them find a safer chemical and it would make a lot more sense to stop the industrial and vehicle pollution to slow down the melting of the south pole ice which is allowing the planet to shift on the axis. We could easily power our entire country on Solar, Wind and water power and geothermal. But our politicians who are bought and paid for by the Energy and oil companies (which also control our Energy policies) are allowing those energy companies and car companies to destroy the planet to extract every last dollar of profit until they all retreat to their fancy underground shelter under Denver and the nationwide maglev tunnel system built at taxpayer expense. They have no intention of providing a single word of advance warning to the public nor lifting a finger to make any preparations to save anyone… unless you have the $50,000 per person for a ticket in the private shelters in Kansas and Indiana. I was on a major metro emergency management agency for 2 years. FEMA and Red Cross run these meetings and I nearly got my head torn off for daring to ask about emergency supplies for victims and rescues. Only myself and the 911 center manager seemed to have any concern for public welfare. I know this from personal experience. I was there. Katrina was exactly how they plan to handle survivors. Control, corral & contain using troops without providing any food, water or necessities. The dead will disappear in mass graves and they will only report 1/10th of the numbers… not to exceed 2000. The troops will be told it is a danger of contamination, plague, chemicals, radiation or safety to convince them it is necessary to hold people against their will. They even have backup plans to bring in Mexican troops if our national guard should begin to balk at keeping the public prisoner to starve to death. You have less than one hour after a catastrophe to escape from a major metro area. All law enforcement will be assigned locations to block of all the roads exiting the area until the troops arrive to relieve them. It will take about a half hour to get most in place on the major roads. Up to an hour on the lesser used roads. The troops will sweep inward to remove anyone hiding out and corral them into large arenas…. just like Katrina. Remember? No food, no water, no medicines, no supplies even for women, children and babies and they weren’t allowed to leave the arenas or city. But FEMA and Red Cross set up 100 miles away and said the victims would have to come to them if they wanted help. Only when the entire country was ready to storm the area in a mass mob action did the state of Texas decide to send buses to get the victims out of there before a riot ensued…. too late for some of the hospital and nursing home patients and disabled. Remember how FEMA blocked the donation trucks from Walmart, sent ice trucks on wild goose chases, tore down the transmitting antennas for St Bernard Parish emergency management in the wee hours of the morning to cut off their communication with the outside world… which they had to replace and place under armed guard with orders to shoot if FEMA tried that again… they also cut off all phone service and will dampen most frequencies (this is part of our emergency management agency instructions to cut off all cell and land phones). They even have power over Congress and the entire cabinet only second to the president under existing Executive Orders. Even in Mississippi, the Red Cross located over 20 miles away from the hit area where no one could get any water or supplies unless they had a ride. But all of their cars were washed away or flooded. No one bothered to go into those devastated areas. Too dangerous they said. The only ones who were doing rescues in New Orleans were two helicopters from Florida and the pilots were court martialed for it upon return. 9 hydroboats were donated to FEMA who locked them up in a warehouse. Then the national guard waited for about 3 weeks or more after Texas removed the victims before they finally decided to go to the homes looking for people whom they knew would be dead by then. People who could not walk, crippled, aged, wheel chair bound, diabetic, amputees, infants, etc. You will never know the true numbers of dead. Remember the stories from the doctors who came from out of state to help at the airport where they had all the patients laying on the floor dying without medicine or treatment? The doctors were told to sweep the floors and were not allowed to attend to any patients who were dying by the hundreds every day. Do you really believe the low numbers of deaths? They also spread the victims by transporting them all over the country where they could not locate anyone and get together and compare notes to find missing family and friends. They know the numbers were far higher than what was reported. Every week, the numbers kept dropping until they were below 2000. More palatable to the public while they utilized a mass grave to hide the real numbers. Starting to remember now? I had told friends and family about this heinous setup FEMA & Red Cross planned years earlier but they simply could not believe it. I have a friend whom I told about this a few years ago after Katrina who didn’t believe it and asked her sibling who works for FEMA who confirmed everything I said. My friend was horrified. This also verified that FEMA had this same plan setup for the other emergency management agencies in addition to the one where I was assigned for 2 years. So it is not an isolated situation. It was too ghastly to think our gov’t could conceive of such heinous actions. Even I had thought perhaps these plans were for situations like radiation, bacterial or chemical attacks. Even I was shocked when they did this to hurricane and flood victims… and they got away with it. This is the problem with the blog generation. They think making comments on the internet will change things. The gov’t simply dumps all of those in the recycle bin without reading them. It takes physical presence of people in mass numbers and Congressional investigations to fix things this horrific. But the numbers of honest gov’t reps are now few and far between and people no longer leave their homes to effect protest of criminal actions by our corrupt leaders. Even the voting machines are crooked now. It doesn’t matter because both Parties are fully controlled by the Energy corporations. Our leaders are all bought and paid for and all of the departments are filled with like minded management. If you ever have any doubt… just remember Katrina. When Katrina occurred, everything occurred exactly as FEMA and Red Cross had laid out at the emergency management agency meetings. Katrina was their first test run opportunity. Did you know that any governor who signs a request for Federal Emergency assistance is relinquishing their own power as governor over their state, over their law enforcement and over their state national guard. They are signing over all power of gov’t to FEMA. This is why the governor of Louisiana hesitated and why the governor (brother of the pres) refused the help of FEMA when they were hit with two hurricanes just a few weeks later. Florida handled the emergencies without FEMA or the Red Cross. He knew better. This should give you an idea of what to expect when the global catastrophe does occur and we lose our infrastructure while the politicians and elite flee to their fancy shelters leaving the survivors at the hands of FEMA, Red Cross and the troops. Those executive orders also give FEMA the power to conscript the survivors into work gangs or the military… conscript is a word for slavery… being forced to work against your will without compensation. Look up the executive orders. It is all spelled out on there. Meanwhile, people like GWB and the Saudi’s get the aerial chemtrails to keep the temperatures pleasant and counter the droughts. I would be interested in hearing what areas around the planet are seeing Chemtrails. I would like to map out the areas they are treating. The reflective chemicals they are spraying increase the temperatures as clearly outlined by the neurosurgeon whose link you included in your text. I know how bad both the aluminum & SF6 are. I was hoping to persuade the doubters to look up the details so they would understand. I support the efforts to cool down the climate but only if they change the chemicals they are using. The aluminum is toxic to people, animals, food & vegetation. SF6 is thousands of times worse than CO2 for heating up the planet. But these are the chemicals the aerial spraying contractors list on their websites as what they are spraying in our skies. The rest of this diatribe are general comments not directed at anyone in particular. Just an explanation of general issues. People would be horrified if they knew how many things contain aluminum & mercury including their injections of flu shots, vitamins injections, vaccines, etc. Used as a preservative; not to mention grooming products & kitchenware. Ask to read the injection vial inactive ingredients the next time any of you plan to have an injection. I did. No wonder so many children have autism & other issues. BTW, the chickenpox vaccine is a live vaccine. Live chickenpox lives in your body & produces shingles in those people after age 40. I would think a live vaccine would do the same. Whatever happened to safer killed vaccines? Did you know that B12 injections are made from cyanide? There is an alternative. If you can afford it, compounding pharmaceutical companies can make safer versions of most medicines & injections including B12 WITHOUT dangerous chemicals & preservatives. They require refrigeration. But the costs can increase from $40 to over $400. But may be worth it. You would have to request it from a compounding company with a full sterile lab by special order but it can be done. Back to aerial spraying of chemicals, SF6 is thousands of times more damaging for raising global temperatures than CO2. Just the opposite of our need. Check Wikipedia. But people respond badly to understanding what is bad for them unless they can see it for themselves on official respectable website sources. They knee jerk apply conspiracy labels unless they can validate the information. So my first efforts are to get them to look at the official websites to understand this is a genuine situation by providing links to the actual gov’t contractors & state licensing which list the names of the gov’t projects & chemicals they use. 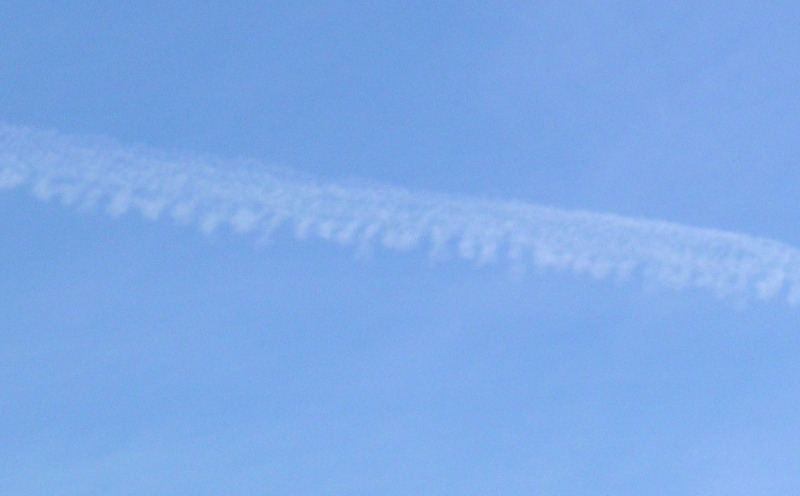 I also provided photos I personally took of these aerial sprayings to show the patterns & how quickly it spreads. This occurred 365 days per year, every year since at least 2006 when I first noticed it. But has ceased the past 3 years. I suspect our local Pres didn’t like it in his backyard. The last 2 years were total drought & triple digits without the spraying. Completely killing the grass, roots & all, as well as half the mature trees. The grass had to be replanted. But this year, the cloud cover is appearing just a few miles to the west & moving over us for the past 3 months, creating a high fog every morning for half the day, clearing at noon & a new one appears mid afternoon. I’ve only seen one sunrise in the past 2 months due to the high fog about 100 ft overhead & only 2 sunsets. This may be the norm for northern California but never for Dallas. It seems they simply moved the spaying operations a few miles west so we get the benefit of the artificial cloud cover with less chemical fallout. One thing I found interesting when I tried to obtain a weather satellite image of the spraying, so we could see a satellite view where the spraying changed the crystal clear weather as shown in my photos… but the satellite images had been altered to something Totally different than the actual patterns. It did not show what I had photographed & witnessed. I don’t know why that surprises me. It is just another gov’t agency covering up for the other. However, I have been able to see these systems appearing from thin air several miles to the west on local doppler. But I’m unable to get copies of the images or see the clouds from an overhead view to verify it as I did before they moved it. Hopefully, their new location will also reduce the animal & bird deaths the constant daily spraying was causing from massive aluminum poisoning. Once the public begins to understand this is a valid situation, then they will be more open to looking at other sources of research and understanding the dangers, the problems & the horrendous costs involved. Probably $250k to $500k per plane per flight if we include fuel, chemicals, pilot & crew, plane use, aviation mechanics, inspections, maintenance & contractor markup profit. The public also needs to understand it is critical for us to find a way to cool off the planet. But the authorities need to use methods safe for the environment. There is also an extreme urgency to the situation of halting the ice melting before the planet shifts any further but without the toxic effects of Aluminum & atmospheric heating of SF6. Nor has anyone bothered to reduce the other pollutants produced by industry & fossil fuels in the past 25 years (but we don’t need nuclear waste either). We already have the technology & systems available for the entire planet to fully rely on solar, wind, geothermal & hydrological sources of clean energy. But politics try to convince the public it isn’t possible because there is no profit in it for their Corporate handlers. They are even extracting hydrogen fuel from oil at exorbitant costs because water H20 is free & the oil companies don’t control or profit from the ocean water. This had to be one of the most absurd oil company abuses ever perpetrated. This is also why the car mfrs design ugly, short term battery span, clean energy vehicles. So no one will buy them & they can claim the public lack of interest is at fault. If you check, you will find all the Auto execs are on the board of directors for the oil companies & the oil execs are on the boards of the auto companies. And the politicians are on both. It is called collusion & payola. I checked the names myself a few years back. Go up on their corporate sites & check out the board members & compare. People need to see this problem is not a single political group or power. Everyone always seems to have tunnel vision blaming one Party. Usually, whichever is currently in power at the time. They never remember the misdeeds of the predecessors & nearly always place blame on the current group. It is both of the Parties because they have all been bought & paid for over 25 years. Everyone has short memories. Our generation tried to clean it up before then. Corporations have bought & paid for all candidates from both Parties from the very lowest levels such as city & county officials bought by developers; to the highest executives in charge of the country who are under the control of the energy & top 100 corporations. I’m not trying to create a political debate. Nor will political issues be approved for this site. I’m just explaining the general overview of the scale of the situation without assigning a scapegoat & the reasons behind the lack of environmental ethics. The entire planet is governed by corporate shills. If you’ve seen Wall-E or Idiocrasy; that is basically the current situation & mindset worldwide. The public has been programmed by clever wordsmithing & paid political attackers on blogs, documentaries & news media like the jackals the CIA uses to create unrest against the officials of foreign countries. These are basically paid loudmouths who attack anyone who expresses an opposing opinion which is negative toward their profit margin, goals, political control or methods. They also control the media & other resources to use slanted, targeted reporting to program the public to knee jerk attack anyone associated with labels like conspiracy theory or global warming. Thus, anytime the corrupt payola politicians use those words, the public automatically attacks & eats their own without ever hearing a word of the details. Just like Pavlovs dogs. Trained to respond to labels without even realizing it. In order to gain any headway with the public, we must avoid using certain words & provide official website sources to begin the process of reeducating the public & increase their awareness on the factual details & break the cyclic label programming before we can encourage the public forward again in the right directions. Otherwise, we are just talking to the wind. Hi mmc7, great site you have here! I am still a bit puzzled in trying to figure this mess out, but I am slowly starting to see what and why things are going on. I’ve never believed that global warming was human caused and thought it was manufactured by the chemtrails and the use of haarp, but now that I know the earth’s axis has changed (no disputing the suns location), I believe this is the cause of warming because it makes so much sense. 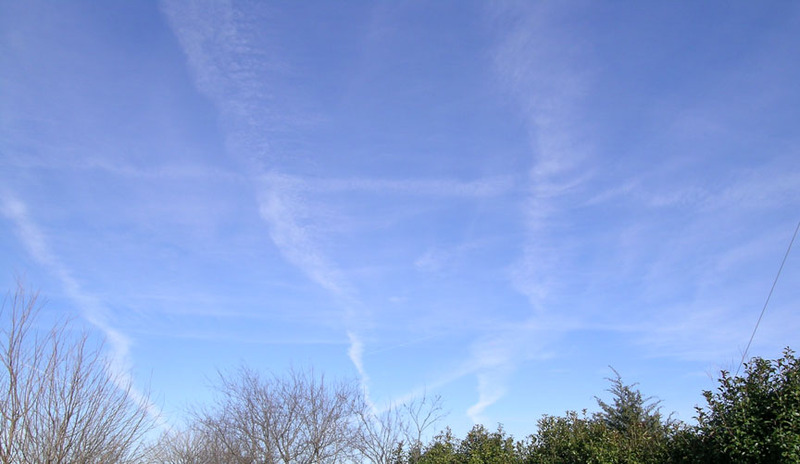 So my question is, are the chemtrails an attempt to mitigate the rising temperatures to buy more time for us before the big tilt occurs or are they some other nefarious attempt at poisoning us? I suspect the fallout is having an effect because I have noticed a large reduction in the numbers of frogs, toads, snakes, turtles, bees and bats. Also, am I correct in understanding that the axis change has caused the earth to stand up on it’s axis, because apparently the north pole is close to Siberia now? I live near Sudbury, Ontario and this summer is unusually hot and dry with temps. around 30 degrees C, the two previous summers we never broke 30 C and the winters of 2014 and 2015 were brutally long and cold with extended temps. around -45 C. So knowing the axis has shifted, does this mean we will have hotter summers and colder winters? The chemtrailing has been fairly consistent over the last few years in summer and winter with a recent reduction of late. Just a side note here, just in the last 9 months the bones of a Camel were discovered in the Canadian Arctic, so do you think this could be as a result of a previous axis shift? I think it is. The gov’t is definitely using the chemtrails to create a cooling cloud cover & rains to reduce the climbing temperatures from the axis shift. They used to spray chemtrails over my home 365 days per year for years. Even Christmas. But when GW Bush moved near here, they shifted the chemtrail spraying to the west of us. So we now get the fully formed systems. But lately, they are to the south of us where Bush benefits & we don’t. So we now have the triple digit heat every day. Even the rain missed us by 15 miles. So they’ve changed their pattern to benefit the metro area & omit the rural region. I think they use the most effective chemicals & do not care about toxic effects. They are quite probably pleased with any reduction in population. So they turn their heads to the dangers. They no longer care about regulating toxins in medicines, foods, air, water or anything else such as chemtrails. The more people die, the less strain on the infrastructure as far as the gov’t is concerned. What bothers me is we are paying for spraying over Saudi Arabia (who can certainly afford to pay their own bills) & other Countries. I even saw Chemtrails over Belfast. 20 years ago, the price of Jet fuel for one commercial passenger plane was $55,000. So the cost of these chemtrails in fuel, chemicals & manhours has to be extreme to the taxpayers. The axis is tilting farther back than it was originally normally. One scientist in 2008 said he found evidence of 11 past planetary shifts where the polar region was tropical & glaciers at the equator. You are intermixing magnetic north with true north & axis angle. Those are 3 separate things. As long as the axis is tilting farther than it should, we will suffer hotter summers & colder winters. This also affects the route of the jet stream & the ocean currents & temperatures. The one thing the gov’t cannot do is hide the position of the sun. All they can do is to try to distract & confuse the public with false info. Or Allow doomsday sites to muddle the facts or create false info sites.. I don’t do any doomsday or dire predictions. I just measure the position each year to determine our situation. I am still perplexed why we had such drastic changes back & forth from 2013 to 2014 to 2015. It makes me wonder if those Cern sized colliders aren’t a cover for some other purpose. More often than not, their grandiose projects end up with bad results in the end.